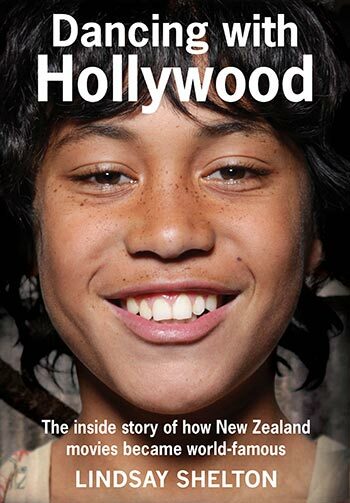 Lindsay Shelton’s 2005 book The Selling of New Zealand Movies now has an updated second edition, a new title and – not unlike the films Shelton writes about – has gone digital. Shelton sold New Zealand-produced films to more than 60 countries during his 22 years as the Film Commission’s first marketing director, including early successes Goodbye Pork Pie, Utu, Bad Taste, An Angel at My Table, Once Were Warriors and Peter Jackson’s early titles. In The Selling of New Zealand Movies, he revealed the strategies he used to persuade the world to pay attention to our films at a time when hardly anyone was interested. Shelton began the process of updating the book back in 2013, first bringing the list of titles in the appendix up to date. He was surprised to note that almost as many NZ titles have been produced in the last decade as were made before 2005. He also noted that the second generation of Maori filmmakers, including Cliff Curtis and Taika Waititi, all began their careers with the desire to tell their own stories – the same intent behind the lobbying which decades earlier led to the creation of the NZFC and, later, NZ On Air. Despite all the changes that have impacted on NZ’s screen industries over the years, Shelton was pleased to see that core value of telling our stories remain at the heart of filmmaking. Cannes 1988. On the balcony of the New Zealand office. 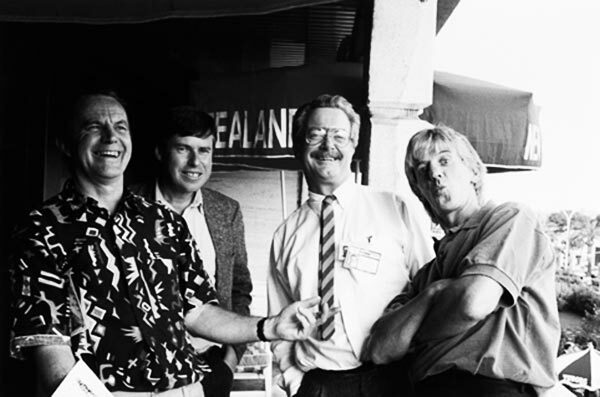 From left: John Maynard, producer of The Navigator; Film Commission chief executive Jim Booth; and Barrie Everard, producer of Never Say Die. 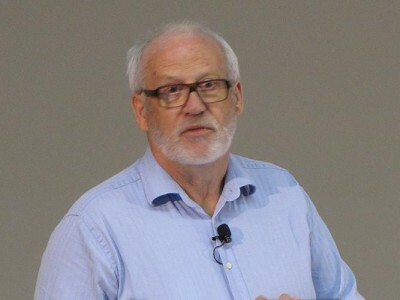 and, later, chair of the NZFC. 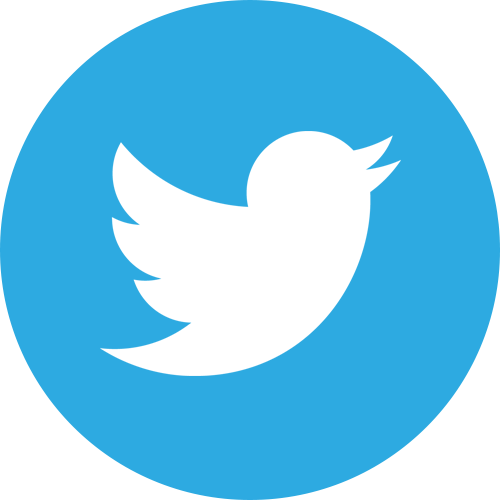 One of those changes affecting everybody has been to move to digital – in production as well as exhibition and distribution. In the newly-released second edition of his book, Shelton no longer felt the need to identify titles made on film or digitally as he had in 2005. Wellington 1997. 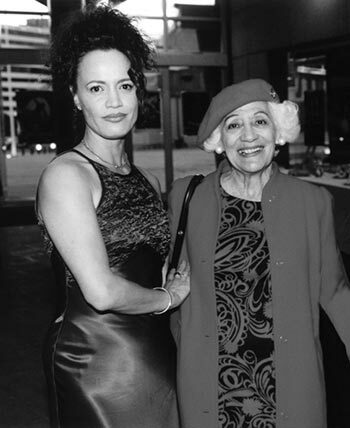 Rena Owen, star of Once Were Warriors, with Ramai Hayward, star of 1940 feature film Rewi’s Last Stand. Another change since the book was originally published Shelton comments on is the disappearance of the NZFC’s sales agency, NZ Film. Shelton is naturally disappointed to see that change. “[NZFC CEO} Dave Gibson first attempted to stop sales when he was a board member during the controversial regime of chair Phil Pryke and CEO Richard Steward from Queensland. The film industry strongly opposed the proposed change and the plan was never carried out,” Shelton said. 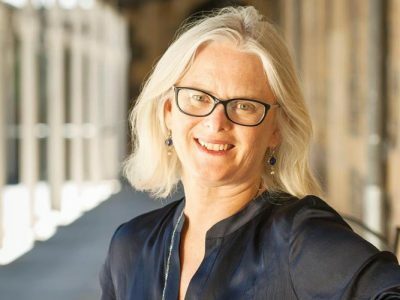 Shelton noted that during Ruth Harley’s tenure as NZFC CEO reports showed that sales by NZ Film consistently achieved better returns for filmmakers than those handled by overseas sales agents. Last year, shortly after taking the reins at the NZFC, Gibson announced the formal end of the sales agency – which had effectively been without a head since James Thompson’s departure early in 2013 – as part of a raft of policy initiatives. 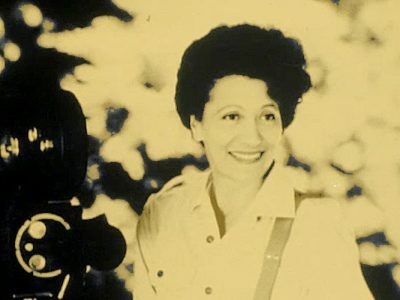 As well as being an insider’s history of New Zealand movies, Dancing with Hollywood also contains an up-to-date filmography of all locally produced feature films, which Shelton calls ‘a unique one-hundred-year record’. Completed in mid-May, Dancing with Hollywood is published by Awa Press and available on Amazon and other ebook sites.